I’ve been rediscovering the joys of tokens & medals lately. I say “rediscovering” because I’ve actually been accumulating them–along with medals and other forms of exonumia–since I was a child. I just never formally considered myself a “collector” of tokens and medals, because I spent much more time and money concentrating on type coins and Lincoln cents. However, as my collecting tastes have evolved some in recent years, I find myself taking more interest in those non-monetized, mostly bronze and copper-nickel rounds that some years ago I tucked into the back of my vault. What a shame I hadn’t taken more time to enjoy them until recently… those tokens and medals have some interesting stories to tell! While I’ve pretty much considered myself strictly a coin collector, I have enjoyed adding medals and tokens to my collection as a colorful extension of my numismatic hobby. And by and large, tokens, medals, and other forms of exonumia are all considered “genres” related to the broader realm of numismatics – a term that some coin purists affirm strictly refers to the study of legal-tender money. Yet when I was an adolescent in the early 1990s and just entering the field, some of the first pieces I added to my coin collection were, in fact, tokens and medals. I still have them, too; while I regularly upgrade the coins in, say, my Lincoln cent album, I’ve dearly held onto various members of my informal collection of medals and tokens – almost all of the ones I own have sentimental value to me. Take, for example, the souvenir tokens my mom and dad gave me from their 1970s family excursions to Tampa’s famous pirate-themed Gasparilla annual parade. Meanwhile, when my maternal grandmother learned I was a coin collector, she gave me a circa 1947 Eastern Massachusetts Street Railway Company fare token from the days when my mom’s family called the South Shore region of Massachusetts their home. That token was one of the last gifts my grandmother ever gave me shortly before Alzheimer’s obliterated her memory and later took her life. Medals and tokens have more recently earned a new place in my coin collection as I build what I call my “ultimate birth year set”. 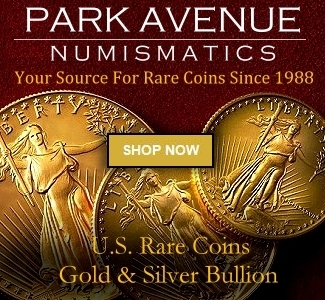 This collection encompasses not just the standard-issue uncirculated and proof United States coinage from 1981, but also several popular tokens and medals made during the year. These include a three-inch-diameter bronze 1981 Ronald Reagan inauguration medal struck by the United States Mint, a dual-dated 1891-1981 American Numismatic Association 90th anniversary bronze medal, and a 1.5-inch-wide bronze medal honoring the main annual convention held by my home coin club, the Florida United Numismatists (FUN), which in 1981 hosted a coin show in Orlando. For good measure, I include in this “ultimate birth year set” a circa 1981 Busch Gardens Tampa bronze medal (my favorite hometown theme park) and a 1981 game token from Chuck E. Cheese – a place I loved going to when I was a child, even if their notorious animatronic band gave me the heebie-jeebies. Numismatic bibliomania fans are sure to appreciate that my “ultimate birth year set” also includes a copy of the 1981 Guide Book of United States Coins and an auction catalog from the last of the 1979-81 Garrett Collection sales. I’m still looking for a decent copy of the 1981 Mint Director’s Report, by the way. But I digress – back to those medals and tokens! For me, tokens and medals represent both a literal and figurative path in my hobby and in my life. Most of the tokens and medals in my collection come from my travels throughout my native Florida and other regions of the United States. I cherish the souvenir medal I bought at the 9/11 Memorial Museum’s subterranean gift shop, located in what was once the bowels of the former World Trade Center basement in New York City. My “In God We Trust” bronze medal, honoring the 150th anniversary of the motto seen on United States coinage since 1864, was minted by the Pennsylvania Association of Numismatists (PAN) and gifted to me by award-winning author and coin dealer Michael Fuljenz on one of my road trips to Texas. Along the way there, I picked up some souvenir brass medals from the USS Alabama gift shop in the port city of Mobile. There’s also the U.S. Mint Bicentennial medal I “pressed” at the Philadelphia Mint in 1995. It was the first time I ever pushed a button to strike anything loosely resembling a coin. My oldest token, an 1864 Civil War bronze round declaring “UNION FOREVER”, I found while searching through penny rolls I bought off eBay while working on a CoinWeek article profiling the pros and cons of buying “unsearched” penny rolls. Come to think of it, I can probably attach a greater number of sentimental stories to the few dozen or so tokens and medals I have than I can to most of the thousands of coins in my collection. Surely I treasure each of my coins, but nevertheless I have bought most of them with the primary motive of completing sets or albums. However, I can take out just about any token or medal from my exonumia collection – which includes the beloved “trick” gaffe coin my illusionist dad gave me and an elongated penny I pressed as a kid atop the Empire State Building – and tell a story about where a given piece came from and what was happening in my life when I acquired it. While I cherish the place that tokens and medals have in my numismatic cabinet and in my life, I realize that my exonumia collection has no central theme, per se. The only real logic behind it is that it’s a collection of life experiences and cherished memories unique to me. And, as far as I’m concerned, that’s perfectly OK. Yet I also know there are many people for whom tokens and medals represent more than “just” souvenirs from adventures near and far. 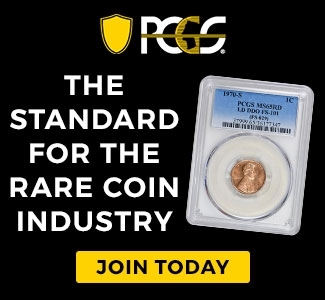 For these enthusiasts, the call to build a collection of tokens or medals beckons fervent bidding, months (or longer) of dedicated searching, and spending hundreds – even thousands – of dollars to acquire that “holy grail” piece, like the storied 1909-S VDB Lincoln cent once symbolized for me, a dedicated “penny” collector since childhood. Who are medal and token collectors? What’s it like to be a token or medal enthusiast? What’s drives them? These are questions I wanted answered as I, inspecting my diverse assemblage of tokens and medals a few nights ago, was musing about the many exciting collecting opportunities that are to be found. 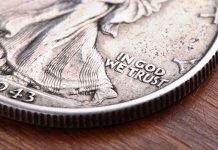 If the people involved in numismatics and its related hobbies represent a metaphorical family, then thousands of these “family members” can be counted as diehard token and medal collectors, at least according to medal expert Fred Holabird. He estimates the number of individuals who collect medals “is up to 100,000 – maybe more.” The cofounder of Holabird Americana Auctions in Reno, Nevada, is passionate about his hobby. He would know. 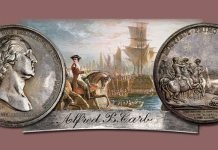 Also serving as the president of the Token and Medal Society (TAMS), Holabird has seen the hobby grow during his several decades as an active medal and token collector and professional dealer. He remarks that the token and medal hobby is diverse, both in terms of collectors as well as the items they collect. For example, Holabird estimates there are more than 100,000 distinct types of tokens and medals from California alone. With so many medals and tokens on the market, do any stand out as the rarest or the most valuable? He notes there are some monstrous rarities out there, not to mention a handful of “million-dollar” medals. One of these is a Nobel Prize medal awarded to James Watson, Maurine Wilkins, and Francis Crick in 1962 for their groundbreaking efforts in identifying the double helix structure of deoxyribonucleic acid, better known as DNA. That medal sold in 2014 for around $4 million. Another top medal rarity is an Olympic track and field gold medal won by iconic athlete Jesse Owens in the 1936 Summer Games in Germany, which scored $1.47 million during its sale in 2013. Prices may be strong for the headlining rarities, but Holabird says that values have suffered across the board for many pieces since the economic troubles of the Great Recession surfaced around 2008. “Some pieces lost a lot of value, others went down to practically zero. We’re at a point now where we’re rebuilding the market. Much of it may come back over the next few years or decades, but other segments may not come back in my lifetime,” says Holabird. In the 1980s, gaming chips reigned. So, where are the opportunities today? Holabird says there’s plenty for new medal and token collectors to enjoy. When I interviewed longtime token enthusiast Dr. William Kiser, I learned something about tokens I never realized: how rare so many of them are. Certainly, there are rare medals (that $4 million Nobel Peace Prize medal comes to mind). But generally medals were designed as keepsakes, and thus many examples of various kinds survive today. However, tokens – unlike some medals – don’t often enjoy cushy existences in wooden cabinets or safety deposit boxes. Nope. 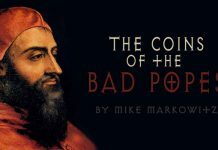 The life of a typical token may be described as one mired in hard knocks. Many tokens are produced by merchants, and they are frequently used as advertisements, coupons, or for exchange by customers to redeem goods or services. I can personally attest to using countless tokens for playing arcade games, claiming free cookies at restaurants when I was a child, or riding subways during my visits to New York many years ago. I’m sure you’ve probably had similar experiences with many of the tokens you’ve handled, too. Tokens are all too often used and abused, usually ending up on return trips to their places of origin to be discarded or recycled. And many tokens are simply lost, dissolving to oblivion in the abrasive sands of time. Kiser understands this firsthand, too. He wrote New Mexico Trade Tokens, a reference book and price guide drawing from his nearly lifelong passion for tokens from the state known as the Land of Enchantment. He estimates the number of people actively involved in token collecting is approximately 1,000 to 2,000 nationwide. He does note searching on eBay is one of the easiest ways for collectors to look for and buy tokens. Kiser, chiefly focused on collecting tokens from New Mexico, remarks one of the most widely followed paths of building a token collection is doing so by geographic region. This specialized method of collecting can help collectors home in on some amazingly rare finds. “The rarest and most valuable tokens are usually post trader tokens from 19th-century military forts on the Western Frontier,” he states. “The two most valuable tokens from New Mexico are both from Fort Craig, which was in service from 1854 through 1885. One of them says ‘Fort Craig Bakery / 1 Ration of Bread’ and the other one says ‘Capt. Jack Crawford’s Club Room / Good For – 1 – Drink.’” Kiser explains that John Wallace “Captain Jack” Crawford was a Fort Craig post trader during the early 1880s and became a celebrity through his travels with the famed Buffalo Bill’s Wild West Show; he was also a notable author and poet. Unsurprisingly, Kiser believes history is one of the biggest appeals to collecting tokens. Incidentally, Kiser did more than just make a side hobby out of researching – he is a professor of history at Texas A&M University-San Antonio, who specializes in the history of the Southwestern United States and has written several books covering various aspects of the region’s history. 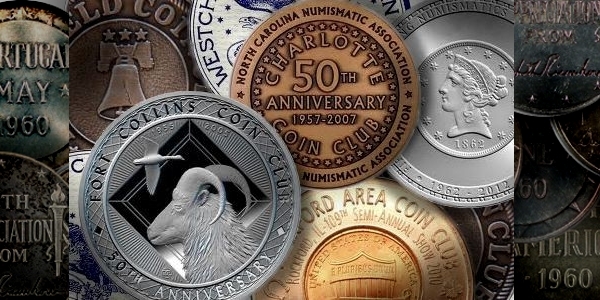 He is also a longtime member of the National Token Collectors Association (NTCA) and currently serves as the organization’s president. He suggests new token collectors should, as he did long ago, join an organization dedicated to collecting tokens to help acquaint themselves with the hobby and make inroads with others who share a similar interest. As with any hobby, becoming a member of a token club and attending events builds comradeship in the hobby. Kiser, too, has found camaraderie within the field of token collecting. 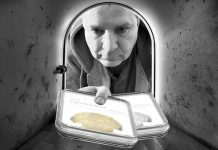 When I began writing this reflection on collecting medals and tokens and sharing my insights on the role they play in my numismatic life, I never would’ve predicted one of this post’s main keywords would wind up being the term “family”. Yet, the fact that “family” became something of a running theme throughout this article really is more than just a serendipitous circumstance. After all, “family” has had quite a significant role in my perspective on this hobby. My family gave me my first medals and tokens when I was young, and family trips throughout the years afforded me the chance to acquire more. 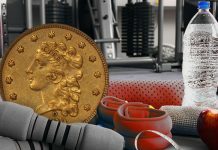 Token and medal collecting, belonging to the larger family of numismatics, itself encompasses a big family of enthusiasts. And my own “family” of numismatic collectibles would certainly not be complete without its growing family of medals and tokens. As I continue exploring the world of tokens and medals, I wonder what the future holds. Will I continue collecting pieces here and there, with the only common thread amongst each acquisition being the ramblings of a weekend getaway, a business trip, or (and here’s that word again) a family vacation? 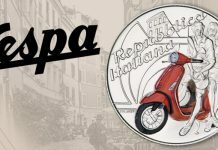 Or will I, like so many folks who collect tokens and medals, sharpen my focus and collect, say, the tokens of my native state… perhaps pursuing medals from Florida numismatic organizations, attractions along iconic Interstate 4, or perhaps some other “Sunshine State” niche? God knows I love theme parks. I collect Arizona and western state tokens. The most ever paid for Arizona went for $19,075 ( including buyers fee) in a Stacks Bowers auction. How about an in depth story on Counterstamped Coins?